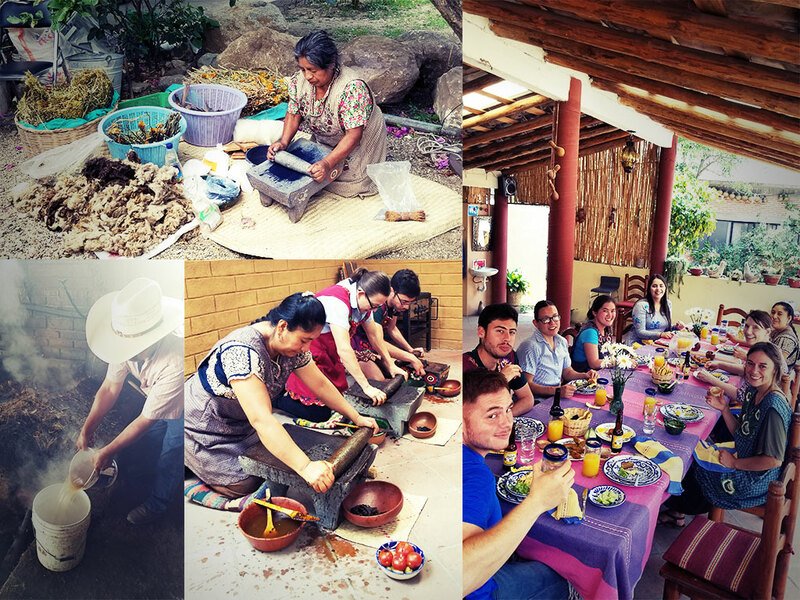 In Summer 2018, Dr. Ronda Brulotte, Associate Professor in the Department of Geography and Environmental Studies, and LAII Associate Director for Academic Programs, taught a study abroad program called "Exploring Oaxaca through Food and Craft" in Oaxaca, Mexico. Months later, the experience is still generating reflective responses from all of the participants, including Brulotte herself. In this video from UNM ADVANCE, Brulotte explains her role in the organization of the trip and also what her students gained from studying in Oaxaca. During the trip, the students were able to explore different issues such as how gender, race, and class relate to the economy and food industry in Oaxaca. “I think my role was to introduce students to this really complicated, interesting place and to facilitate understanding between students and communities which are pretty distant from them geographically and culturally,” Brulotte said. The student impact is evident in recent travel/photo essays posted to the SOLAS website. MALAS/MPH student Alexandra Villegas shared her thoughts in a piece titled "A Summer of Craft and Culture in Oaxaca" and MALAS student Santiago Carrasco-Garcia shared his experience with "Oaxaca: Experiencing Mexico's Uniqueness." From both students' perspectives, it was a positive experience. As Alex writes, the program organized by Brulotte helped convey "the warmth and generosity of the people, the arts, traditions, food, and vibrancy of this region in Mexico." Santiago similarly noted that the program was not about experiencing Mexico "as a benign action from the Global North to the developing South, but rather as a full immersion in the rich and intricate reality of Latin America." All told, it was a program that prompted inquiry and open-mindedness. Participants repeatedly expressed gratitude for the opportunity and for the warm welcome extended by Mexican friends and colleagues. Plans are underway for a second study abroad program in Summer 2020. Interested students should contact Brulotte at brulotte@unm.edu for more information.